Respawn Entertainment’s massively popular battle royale game, Apex Legends, is set to receive yet another update that will focus on balancing some of the game’s Legends and weapons. The latest patch dropped on April 16, 2019 at 10 am PT/1 pm ET, and it features the first ever Battle Pass XP boost event for Apex Legends. Now you can play on a more level playing field and earn more experience in the process. The Battle Pass XP boost event will be running from 10 am PST on April 16th, through 10 am PST on April 18th. Your first top five of the day (meaning you and your team place in the top five or better in a match) will grant you one full Battle Pass level. 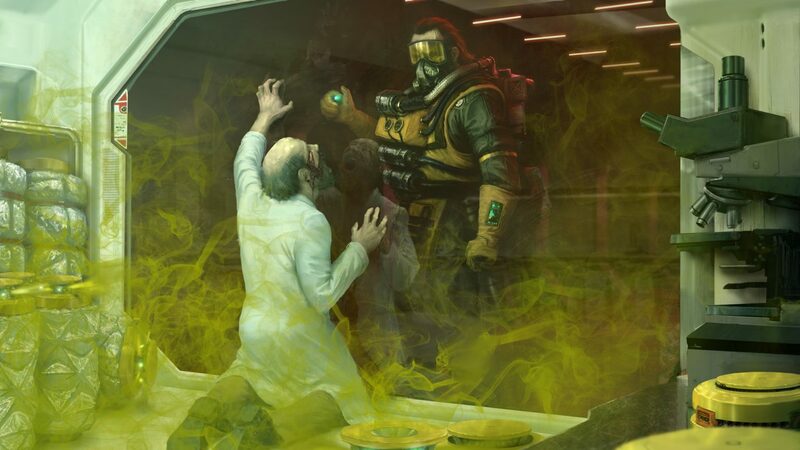 Apex Legends‘ latest update is also adding a passive buff to both of the game’s “Thicc Bois.” It would appear that Gibraltar and Caustic were being dominated on the battlefield, due to their large hitboxes. As such, they will both receive the “Fortified” perk. The “Fortified” perk will grant a 10% reduction to all damage taken and is a passive perk, meaning it is active at all times. Respawn is also making changes to Gibraltar and Caustic’s abilities to ensure that they are viable options in-game. Gibraltar’s Gun Shield health is being increased from 50 to 75, and Caustic’s Gas Damage will deal four damage per tick compared to the previous one. Caustic’s Ultimate Throw distance was also increased from 28 meters to 32 meters. This should even the playing field for people. When it comes to gunfights, Respawn will also be re-balancing some of the weapons to provide a better experience for players in this update. Some of these changes include a slight nerf to the Spitfire’s damage and an increase to the damage dealt by the Havoc’s charged beam. Sniper rifles will also see an increase in the damage dealt by leg shots, to ensure that you aren’t penalized when missing shots on a moving target at range. What do you think of the changes in Update 1.1.1? Let us know in the comments below!